I guess my favorite tool has to be the food mill, for two reasons. 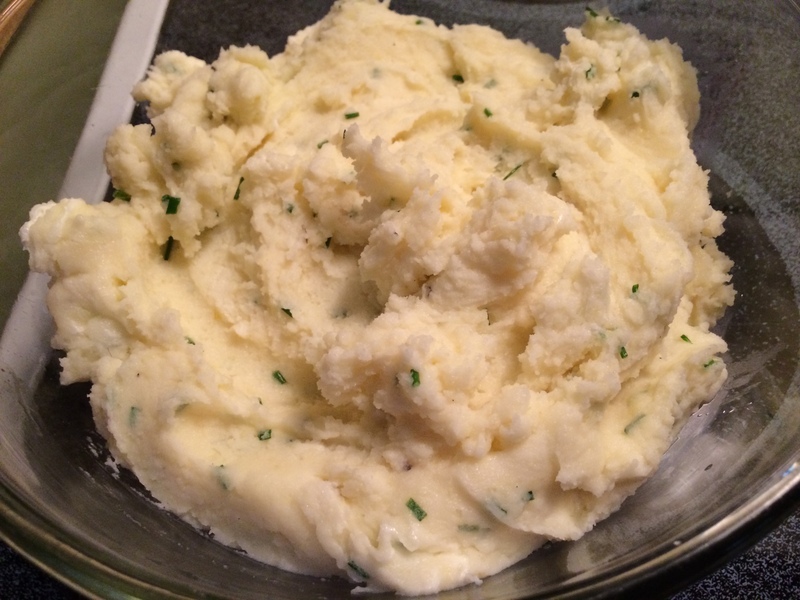 First, because it was passed down to me from my Nana, second, you just can’t beat it for making the best Homestyle Mashed Potatoes ever! 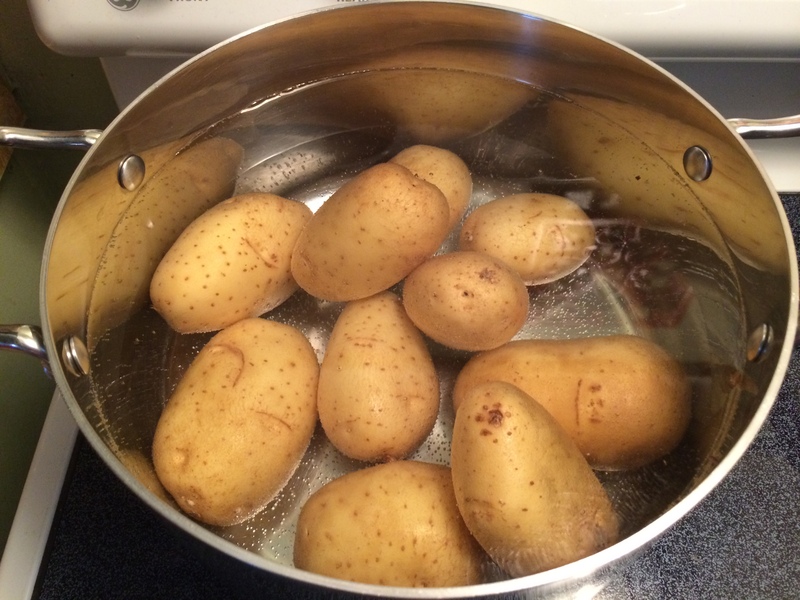 In a large stockpot add the whole unpeeled potatoes, cover with cold tap water. Turn the heat to medium-high and bring to a boil. Liberally salt the water. Boil for 10 minutes, turn the heat off and let them sit in the hot water for another 10 to 15minutes or until fork tender. Remove the potatoes and let them cool until they can be handled. Remove the skins and dice into 1-inch cubes. 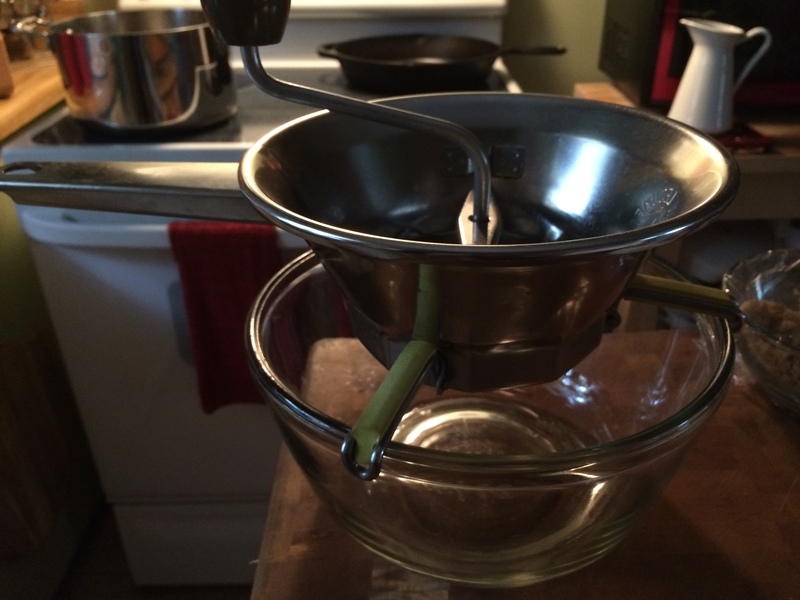 In a small saucepot, heat the half-and-half and butter until the butter is melted. On top of a large mixing bowl set up the food mill, start processing the potatoes through the mill. After all the potatoes have passed through the food mill, using a hand-held electric mixer, on low speed, and the hot half-and-half/butter mixture. Next, add the softened cream cheese, Kosher salt, fresh ground black pepper, and freshly chopped chives from my garden, whisk to combine. Serve hot.